We’ve been hearing about Windows 8 for months, and today we can finally tell you it’s got a smart tile-based user interface, robust developer options and what is essentially a complete revamp of Windows 7 to bring Microsoft’s new OS into the mobile era. We got an early preview of Windows 8 earlier this summer. The OS is designed for PCs and tablets and uses a live tile-based touch UI with multitasking capabilities. 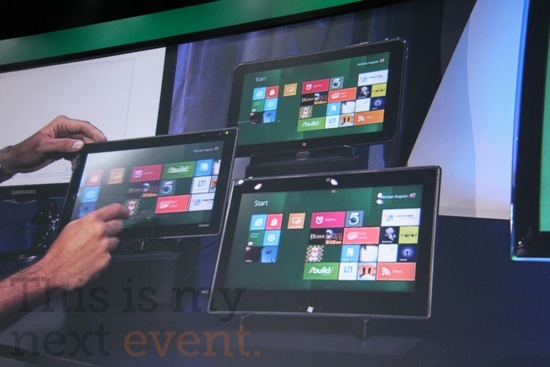 Microsoft CEO Steve Ballmer hinted that we’d be getting Windows 8 tablets next year. As promised, everyone attending BUILD got a free tablet. Microsoft has until recently been tentative about entering the mobile space, and not without warrant — Microsoft’s legacy is software built specifically for the PC. Whereas iOS burst on the scene in 2007, followed a short time later by Android, Windows Phone 7 arrived in late 2010. Microsoft’s last OS, Windows 7, was clearly designed for the PC experience rather than the tablet experience. 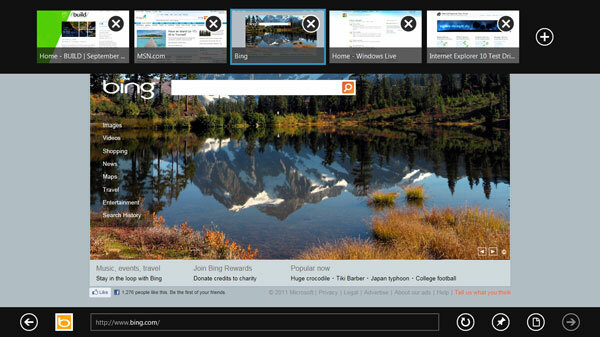 So far, it looks like Windows 8 is making a big splash, particularly with developers. Here’s a rundown of what we’ve learned Windows 8 offers. One of the central themes of today’s keynote announcements was Windows 8 is a reimagining of Windows, from the user experience all the way down to the chipset. 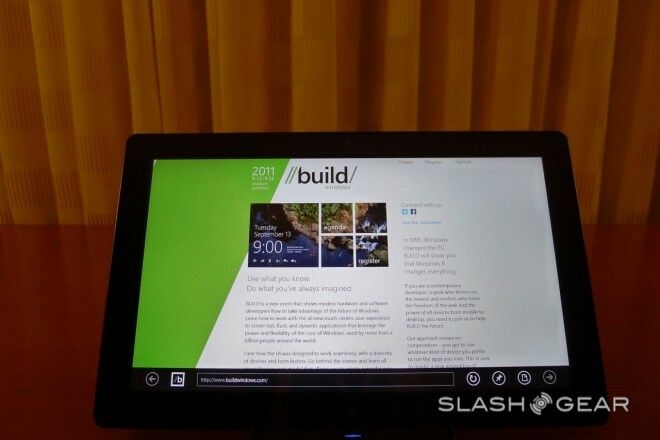 Windows 8 can run on ARM or x86 architecture, and Microsoft showed off its OS running on multiple devices including ASUS and Acer ultrabooks, an Intel tablet and a Toshiba all-in-one setup. It’s interesting that Microsoft would choose to allow its OS to port to so many different devices, on different chipsets, with different screen sizes, particularly when we’ve watched Google struggle with Android’s ability to do that. But it looks like its user interface may be better suited to that task than Android’s. Mark Rendle, principal software architect at Dot Net Solutions, really likes Microsoft’s Metro UI. “It looks like they’ve scaled it up really well, and I like the way it fits to different screen sizes,” he said. “I’m excited that I can leverage all of the existing skills that I already have and choose what is best for writing a new Win8 app,” said Ed Blankenship, a .NET developer and technical lead at Imaginet. When an app is completed, Windows has a few super-convenient built-in tools to port it over to the Windows App Store. You can select a price, a trial period length and choose the appropriate app categories it belongs in from a drop down menu. Windows’ app store will be “transparent” about its approval and certification process, showing users what stage of approval they’re in with its web interface. The app store itself has the features you’d come to expect: price listing, ratings, an option to buy or try, screenshots, details and reviews. “I love that Windows 8 will run anywhere and any app that can run on Windows 8 will run on any device. That’s really key – I can develop & debug on a tablet running Windows 8,” said Blankenship. You can’t do that with other platforms available today. Developers normally have to build that infrastructure themselves, often a huge time sink. But now, devs can easily get apps into the Windows Store. Like Windows Phone 7, Windows 8 has a large social aspect built-in. In a departure from the desktop-oriented OS’s of the past, Microsoft has redesigned or reskinned a number of services. Windows 8 also takes advantage of the growing cloud-based storage movement. “The interaction between apps on and between devices is really exciting,” Rendle said of Windows 8, citing the Contracts API as one he was particularly excited about using. For instance, the new email client looks pretty slick: It’s a two panel setup that meshes with the Metro look and feel, with an optional third panel that comes up when you’re going through email folders. A contacts app neatly arranges your friends and acquaintances as a grid of square photos, which you can click to get more information. The email client and contacts app won’t be shipping with the developer release of Windows 8. The photos app can pull images from services like Flickr, Facebook and SkyDrive after you’ve connected with your accounts. The app treats remote storage and SkyDrive’s cloud storage as if data is stored locally. Email and SkyDrive can sync with Windows Phone 7.5 (Mango) devices. “Applications are really powering the system with new capabilities, and as you get more applications, the experience gets richer and richer,” Julie Larson-Green, a Microsoft vp, said about Windows 8 and its app environment. It’s got boot protection, so when Michael Angiulo, CVP of Windows Planning and Ecosystem, tried to launch a Samsung tablet with an infected USB key, the booting process stopped before the system could fully launch. A few keyboard shortcuts were introduced: Windows – C opens up the Charm menu (a cross application searching and sharing toolbar with an option for switching between desktop and Metro views), Windows – Z opens the app bar and Windows – F does searches. Traditional Internet Explorer shortcuts still work. Many feared that traditional Windows problems, like the need for drivers, would plague Windows 8, but from the demonstrations at BUILD, everything seemed to run very smoothly. Accessories like a webcam worked instantly after being plugged in. Windows 8 takes mouse, keyboard or touch inputs, and there’s also a digital pad you can use a stylus with for drawing or writing. encourage the developer community to create these new-style apps,” Rendle said. The fact that the software is available as a public preview should help with that fact. “We’re going to be driven by the quality, not by a date,” Sinofsky said. Videos and livestreams of Microsoft’s conference are available at buildwindows website.